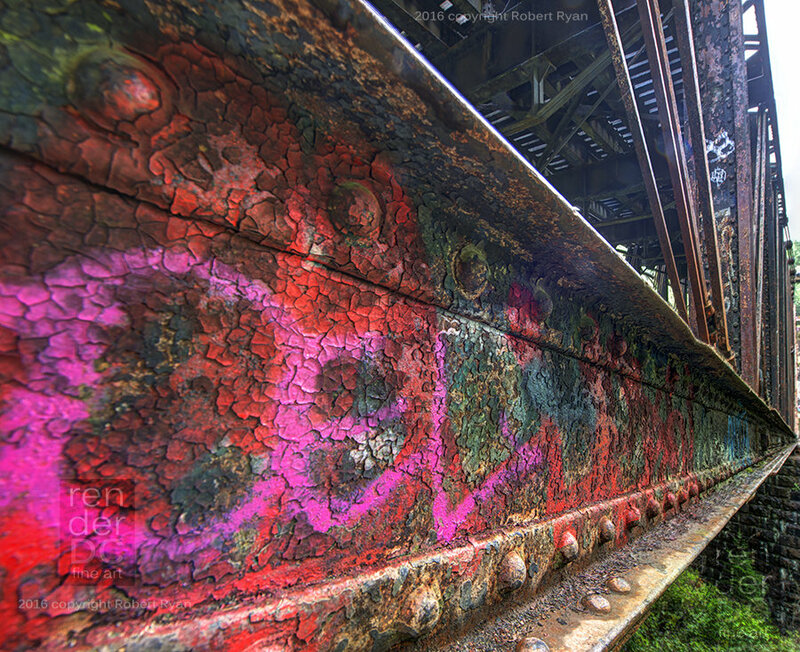 Layers of paint on the old Goldstream Trestle. Treated with A crystal clear epoxy resin. monted to a wooden block.